When I was little, after a long day skiing, I stood in line with my parents to catch the Merritt’s chairlift down to Thredbo Village. There was no snow making in the 1970s and it was a typical Australian winter. Without ‘top to bottom’ skiing, the lift was the only way to get down. As someone small, my heart would beat faster when the chair lift approached. It was a steep drop from the concrete floor of the building to the mountain slope, with just a last-ditch safety net between the two. My father would carry my skis. The chairlift was fast, but sometimes the lift operator would manually slow it down before lifting a child on the seat. A retro chairlift similar to the one I experienced. On this day, my mother went first. Dad and I then walked to the load line where we waited for the chairlift to come round the bend. The liftie was distracted and a few metres away. Without the liftie’s help, I could not pull myself up onto the seat. Dad, struggling with two pairs of skis, watched as, with the metal seat against the middle of my back, I was swept towards an abyss. The lift attendant did come to his senses and ran frantically to the chair. Just in time, right at the edge, he launched himself at the back of the chair, managed to grab me and we both tumbled into the net. Mum had turned around in the chair in front, and I can still remember the silent ‘O’ of her mouth. No one was hurt, but the fear and dropping feeling has stayed with me all my life. ‘Falling Off Chairlift’ has since become my go-to nightmare. For any anxiety inducing experience, my nightmare shows itself. I have had it the night before an exam, court appearance or important presentation. These days, my nightmare has permutations. I am sliding under the chair lift safety bar. Or I have slid off and am grasping onto the seat with fingers slipping away, trying desperately not to drop. 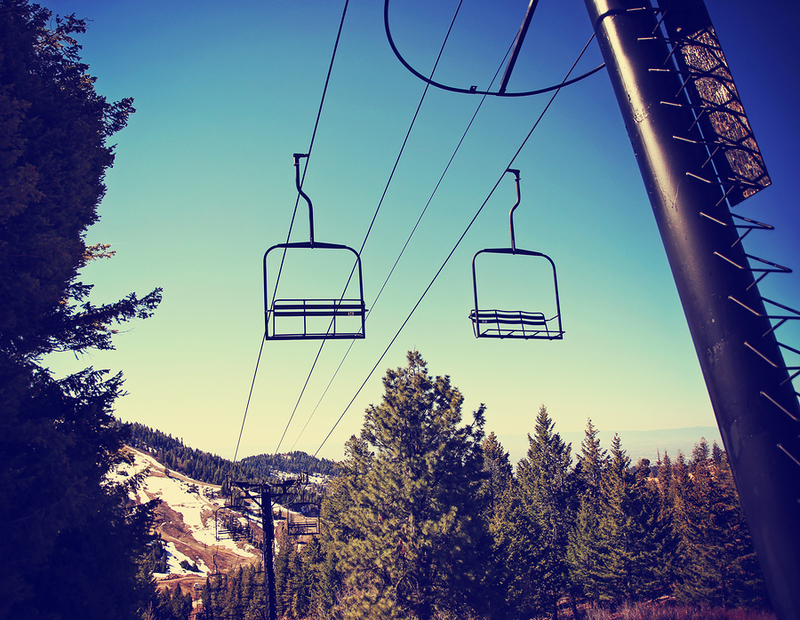 Most people engaging in snow sports have had their own negative encounters with chair lifts to one degree or another. Of course, each experience is personal and different. Particularly when a beginner, a chair lift is just another challenging experience for the nervous novice. However, sometimes the experience of getting on a lift leads to injury. What recourse does the skier have then? In New South Wales at least (where a substantial part of Australia’s ski-fields exist), it seems the answer at present is: not much. On 16 October 2015, the High Court of Australia refused special leave to appeal to a woman who sued Perisher Blue lift company for a ski lift incident. Her story, and the manner in which the New South Wales Court of Appeal dealt with it, raises important questions about when or whether ski lift companies found to have breached their duty of care, can be liable to skiers. The story goes like this. In July 2003 (an Australian winter), Ghita Nair-Smith, a doctor, and her two friends, Alison and Peter Nowland, were skiing at Perisher resort in New South Wales on their last run of the day. It was 3.45 pm, so most people had finished up and they were the only ones at the loading station. There were two lift attendants on duty. Peter Nowland recalled: the lift attendant was “taking down the ropes that form part of the queue line” when they arrived at the entrance to the chairlift and that he was “within a few metres, back and to the side of the correct loading position” and was “also facing away from the chairlift”. There was some dispute about whether or not the liftie was shoveling snow. The three friends skied to the load line with Ghita on the right, Peter in the middle and Alison on the left. The loading gate opened and they skied through. When they arrived at the loading point, they were correctly aligned. This is not disputed. It is important to be in the right position because it only takes about 9 seconds from the time the gate opens to when the chair arrives. As they turned round, they saw the chair emerge from the ‘bullwheel’ with the safety bar down. If nothing was done, the chair would have hit the skiers and, unable to get on the chair, all three could have been badly hurt. The lift attendant managed to get there in time to lift the bar. He accepted this happened at “the last minute” and he only knew about it because the trio yelled at him. By the time he lifted the bar, the chair was 300mm from the skiers. According to the lift attendant: “I noticed the safety bar was down. Took a couple of steps towards the chair from the load, flipped the bar up. Then I pulled the chair back not to the side. The chair was ready for a load. They seemed to panic but also seemed to be loaded properly.” The Court of Appeal accepted his actions could be regarded as a “lunge” and “hurried”. What happened in the seconds that followed was not agreed. Ghita Nair-Smith was confident that the angle of the chair, pushed by the lift attendant when raising the bar, led directly to her injury: “… ordinarily the chair simply comes up directly behind you whilst you stand at the loading position and it is simply a matter of sitting back onto the chair when it arrives. On this occasion the chair did not come straight up behind us, it came at us at an angle due to it being pulled back and to the side by the lift attendant“. Experts thought differently. In fact, everyone had an opinion about what happened and differed on the details. The trial judge, Justice Robert Beech-Jones, noted that whilst everyone was likely honest in their recollections, the mere seconds involved hindered the prospect of consensus about the sequence of events. The result was that Ghita Nair-Smith found herself straddling the metal arm of the seat. Reading the case, the injury sounds similar to bike injuries when a person falls off the seat onto the metal bar. She was pulled onto the seat, but the injuries to ligaments in her groin and lower back caused her to miss work, led to reduced hours when she could return, impacted her ability to do domestic chores, and also caused psychological suffering. After the unenviable task of distilling everyone’s views, the trial judge found Ghita Nair-Smith likely shuffled to the right, causing her to move out of alignment and straddle the metal hand rail rather sitting on the seat. He acknowledged this contradicted the evidence of everyone present, including the lift attendant, but preferred the expert evidence about the characteristics of the triple chair. In other words, the trial judge found it was not the direct impact of the lift attendant’s push that caused her to be hurt by the chair, but rather her likely decision to try to get out of the way. Ghita Nair-Smith’s actions in the ensuing “panic” (the prevailing mood, agreed by all) caused her to be in the wrong spot. As the trial judge found: “That situation was caused solely by the inattention and delayed response to the bar situation by the defendant’s lift operator”. He awarded Ghita Nair-Smith $1,368,700 in damages. Note the emphasized use of “caused” in the previous paragraph, and that it was the “situation” that caused the injury. This is because the question of causation became the central issue in the case on appeal. It is the reason why Ghita Nair-Smith ultimately lost. The Court of Appeal, constituted by Barrett JA; Gleeson JA; Tobias AJA, overturned this decision, Ghita Nair-Smith was awarded nothing and, with all now said and done at the High Court, she must now pay the costs of Perisher Blue, the lift company. There is nowhere else to go. Ghita Nair-Smith had brought a claim against Perisher Blue for negligence and for breach of contract. In New South Wales, the requirements of proving negligence are partly codified under the Civil Liability Act 2002. Importantly, the Court of Appeal found that Perisher Blue had breached its duty of care, a key element in proving negligence. The duty of care was said to exist due to the vulnerability of skiers when getting onto chair lifts. The nature of the equipment and the configuration of the chairlift means there is little scope for skiers to protect themselves when getting on the lift. At the loading point they are on a raised platform of ice and must have the skis facing uphill and their poles in their hands. This makes it hard to manoeuvre out of the way of an approaching chair, and there are few places they can move to. The skiers on the side could attempt to move off to the side but that carries risks. The skier in the middle could only attempt to move forward. Reasonable care required the lift attendant to direct his attention to the condition of the chair earlier than he in fact did. His failure to do so, according to the Court of Appeal, meant the lift company breached its duty of care. So, why did Ghita Nair-Smith lose? The sole reason was that, despite all the above, the Court of Appeal was not prepared to accept that the “situation” with all the confusion was enough to cause the injuries. It sought more precision between ‘cause’ and ‘effect’. “Mr Lofberg’s continuing inattention at and after the point at which the exercise of reasonable care required him to act no doubt caused the already existing apprehension to continue and may have caused it to increase but it does not follow that his continuing inattention and failure to act was a necessary condition of the respondent moving out of alignment. The Court therefore found that the primary judge was correct to have found that the appellant breached its duty of care in negligence owed to the respondent. However, it concluded the trial judge should have found that the negligence of the appellant was not causative of the injury suffered by the respondent. The Court stated: “The action for damages for negligence should have been dismissed”. With respect, and with full appreciation of my less than impartial position, I have read these passages and speculated about the striking nature of the Court’s about-turn from the first instance result. For those not exposed to snow sports, snowboarders and skiers often engage in rivalry and methods of one-upmanship. As the Wall Street Journal puts it: “Snowboarders and skiers are the dogs and cats of winter sports: They inhabit the same turf, but don’t always get along“. For a report of a USA case where snowboarders have sued Alta Ski Resorts for banning snowboarders on the grounds this is discriminatory, see here. Having undertaken my research, I can confirm that – of course – there is no apparent ‘snowboarder bent’ amongst the presiding members of the Court of Appeal. Snow sports may, in fact, represent unfamiliar terrain. Justice Barrett, according to his welcome speech, is known in his rare spare time to be a keen Bridge player, who enjoys pursuits of the voice, performing in choral works and demonstrating a gift as a mimic. Justice Gleeson’s welcome speech indicates he was a formidable 1970s first grade rugby player who keeps in shape with regular early morning swims. Justice Tobias’s background is more opaque but his demographic lends against a ‘snowboarding’ interest. If the decision is followed, skiers could not bring successful claims against lift companies for lift accidents even where the lift company has been found to have breached its duty of care. Unfortunately, from reading the highly technical analysis in the judgment, this ‘end’ does not appear justified by the ‘means’. The analysis in the judgment reads as a technical and academic rather than ‘real world’ exercise of evidence evaluation. There are numbers and statistics galore. A skier (or snowboarder) reading this judgment will not gain any real world sense of the things they would typically like to understand about the incident: the standard of the skiers, the prevailing snow conditions on the day, how many times the plaintiff had previously used ski lifts, and whether the snow at the loading station was icy or soft. This lack of practical insight focuses the readers’ mind on the task of the appellate court. Typically, the appellate court cedes the role of primary fact finder to the trial judge, the person best placed to assess the demeanour of witnesses because he or she has actually seen them, and to weigh the evidence accordingly. The Court of Appeal’s decision to stand in the shoes of primary judge, and overturn his causation findings, is perplexing. The justification in the context of lengthy reasons is short. It is difficult to pinpoint the error below, and one gains a sense that the judges simply held a different view from the trial judge based on their data review. The Court of Appeal’s reasons for changing the outcome are also, at least to me, unpersuasive. The alternative scenarios proposed, namely, inadvertence or biomechanics, seem faintly ridiculous in light of the detailed evidence about the panic caused by the lift attendant’s inattention, with respect to people in a vulnerable position where mere seconds were involved. Now consider the impact of this decision if the Court of Appeal’s reasoning is followed. It will not be enough to prove breach of duty by a lift company. It will not be enough to detail the recollections of people about split second events, in which on most key details the parties agree. It will not be enough to prove injury and economic loss. No – Each litigant will also have to exclude the prospect that the injury was caused by things like inadvertence or biomechanics. This, in my view, is an impossible burden to discharge. It must be galling for Ghita Nair-Smith that, if the appellate court left the causation findings alone, she would have won. She would also have likely won on her contract claim. There is a statutory guarantee implied into contracts that the services will be rendered with due care and skill: see s.60 Australian Consumer Law. Skiers and snowboarders will be familiar though, with lift company disclaimers. According to these disclaimers, everything done by anyone is “at their own risk”, as declared by signs at loading points or on the back of lift tickets. The Court of Appeal found the lift company’s contractual disclaimer to be void because it over-reached. For the relevant provisions, see s. 64 Australian Consumer Law, and s.139A Competition and Consumer Act 2010. The disclaimer relied on by Perisher Blue was found to over-reach because it did more than carve out liability for death or physical or mental activity in the course of a supply of a recreational service. This is the limited exception provided under the legislation for such disclaimers. By covering things like property damage as well, the disclaimer went too far and was therefore void. This is a brief warning to people who draft such disclaimers to be across the relevant provisions of the Australian Consumer Law. Snow sports are inherently dangerous. We all understand that. However, whilst we accept reasonable risks, getting on ski lifts is an experience where enthusiasts are vulnerable to injury and reliant on the help of others. Lift attendants are the employees of the lift company that makes money from ticket sales. The lift company must assume some level of legal responsibility for this risk. The public interest demands it. Otherwise, in the absence of legal risk, only reputational risk will cause lift companies to train lift attendants properly and ensure they have the best possible lift facilities on offer. This cannot be right given that lift companies have practical monopolies over large pieces of geographical terrain. If one wants to ski or snowboard at a particular resort, there is only a single company supplying the lifts at that resort to its customers. The customer does not have the option of getting on another ‘safer’ lift, offered by another operator, within each resort. The most significant difficulty with the Perisher Blue decision is that the lift company was found to have breached its duty of care due to the lift attendant’s inattention, the incident occurred in a matter of seconds, and in all the circumstances, the alternative scenarios proposed by the bench failed the common sense test. However, this decision will likely stay on the books for a lengthy period of time. And because it is by a Court of Appeal in Australia, it is likely to have a persuasive effect.